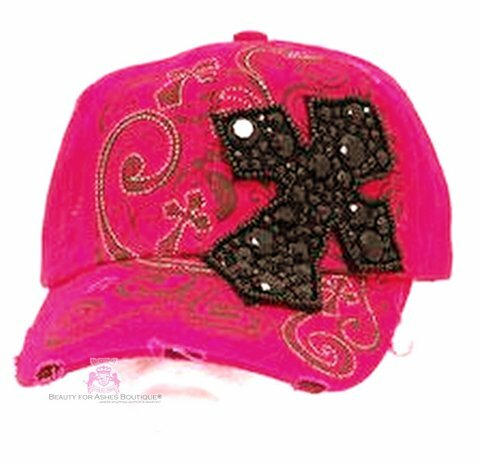 This beautiful hot pink cap features an oversized black crystal embedded cross measuring 4 inches by 5 inches. This is a baseball cap style, fitted and flattering. It is adjustable in the back with a metal buckle clasp. 100% Cotton, Vintage Style weathered look with embroildered detailing by KBethos.